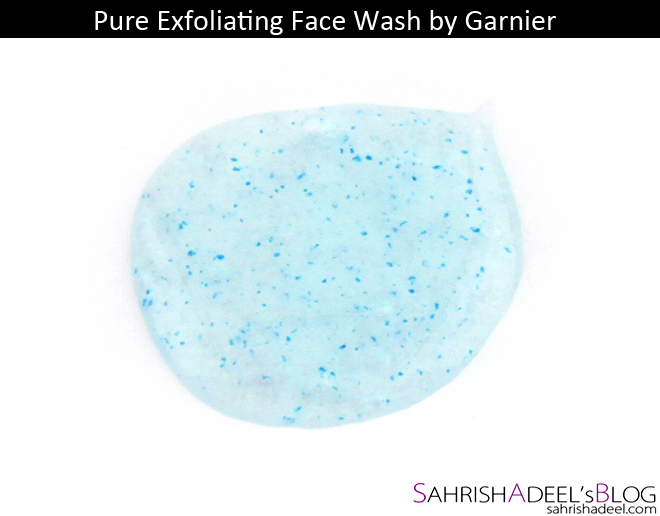 Garnier Pure Exfoliating Face Wash - Review & Swatch | Sahrish Adeel - Malaysia based Pakistani Beauty & Lifestyle Blogger! With hot weather, all of us with oily skin have to take care of our skin to fight with impurities that love oil and have a hobby to accumulate on our skin and gets into our pores to party. Let's see if this face wash is a good weapon to help us with this never-ending war. This face wash comes in a plastic squeezable tube with a screw cap. It has a gel like product which is a bit liquid-y but not too much. 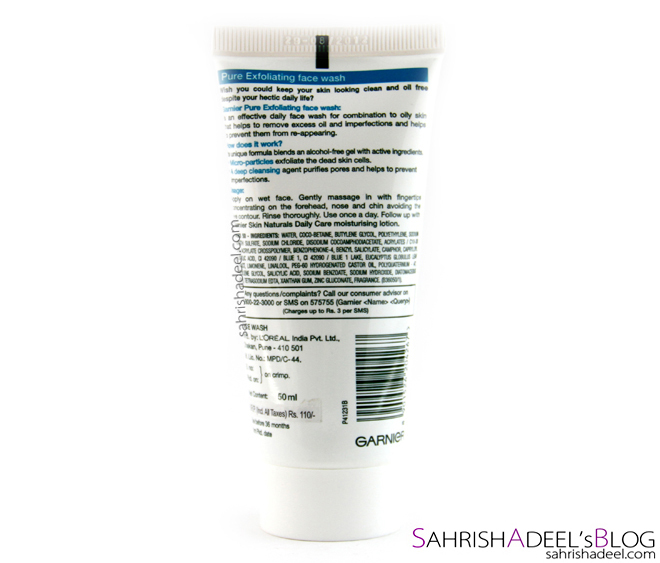 The formula contains tiny blue beads. It contains 50ml of product. 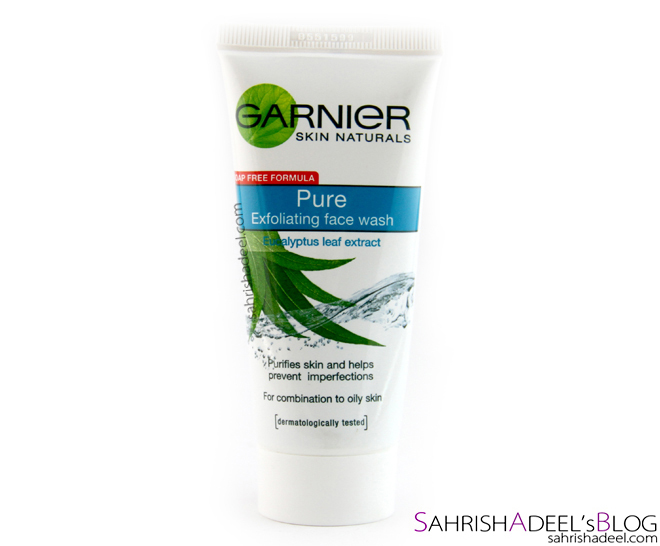 Pure exfoliating face wash is a moderate face wash for everyday use for oily to combination skin. It forms good amount of leather and removes all the dirt and oil from face including any makeup except for waterproof ones. 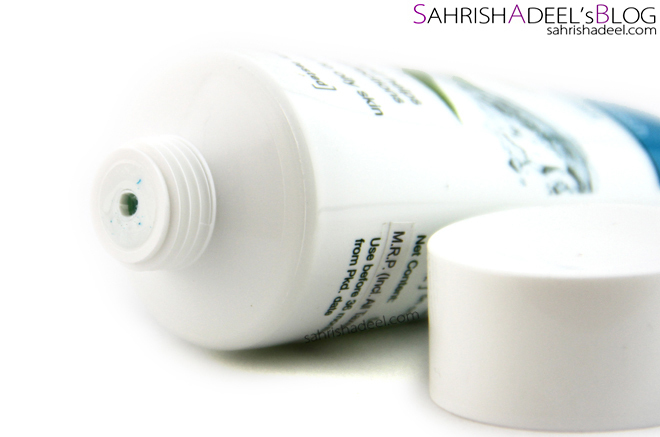 It leaves the skin really clean and squeaky without drying and tightening the skin. For me, my T-zone gets oily in about an hour but rest of my face stays matte for good three hours which is good for me. Even though it has scrubbing abilities, it is not harsh enough to remove black heads and dead skin cells even after a continuous use so it can be used on everyday basis. For the price, it has good amount of product but for me it only worked as a regular face wash while I expected it to mildly exfoliate my skin on every use because I need exfoliation on regular basis. I can say it because I have finished the whole tube. Overall, it is a good face wash for combination to oily skin but do not expect it to be too good for exfoliation or removal of black heads. 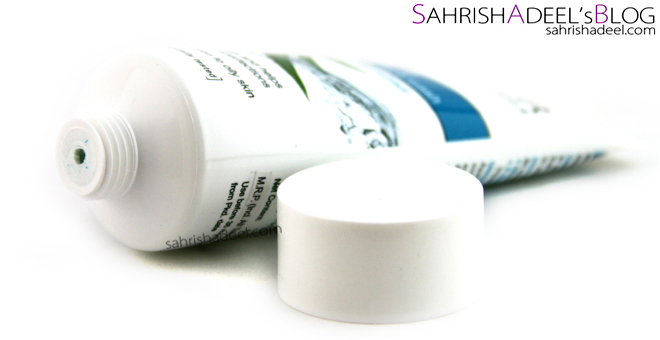 Each tube costs PKR 110 and is available all across Pakistan. This product is also available in other countries, so do check your nearest drugstore for the availability. 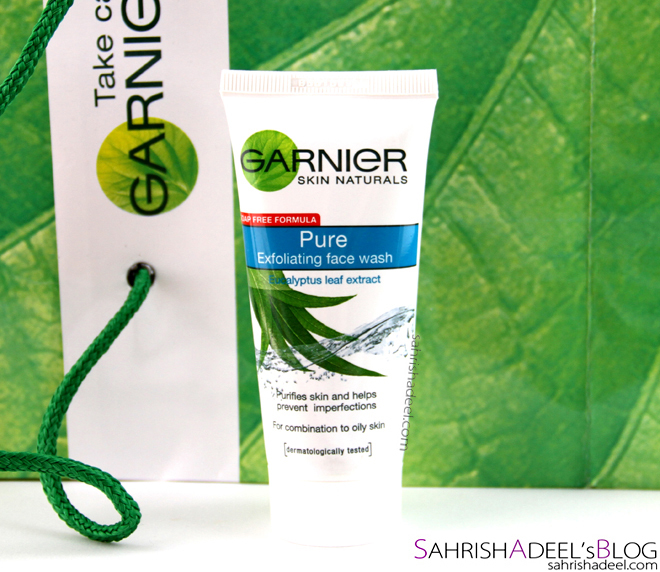 Check out Garnier's Pakistan Facebook page for more updates on their range. Have you tried this face wash? How was your experience? More reviews on face washes. More reviews on Garnier products.